Sydney has been mentioned in various songs over the years, but I wondering what song really says "Sydney" to you. 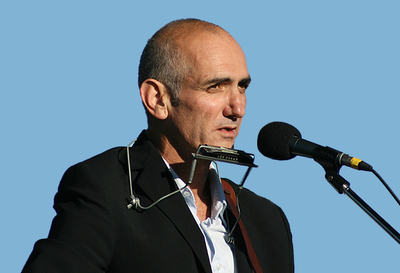 Obviously Paul Kelly has mentioned many Sydney surburbs, but that hardly counts as there are few suburbs left in Australia that he hasn't written a song about. Sometimes I think we need to head back to songs like the "Long jumping jeweler of Lavender bay" to really find a song that celebrates Sydney's unique nature. Instead songs tend to be universal with just a mention of Sydney or are complaining about something, like the Whitlams complaining about Sydney getting the Olympics. So Sydney siders, what song really says Sydney to you and is there is a song that really celebrates Sydney? I love the images of Sydney that James Reyne weaves into the song Reckless, there is also a marvellous song Down by Harbour Lights by Dave Delves and the Welcome Strangers https://itunes.apple.com/us/album/down-by-harbour-lights/id491247791. Sydney also features in Khe Sanh as the town that a Vietnam veteran seems to be running away from. However, the Whitlams' You Gotta Love this City, despite its derogatory comments about this beloved metropolis, has the great line "You gotta love this city for its body and not its brain"
This! The Harbour Bridge song! And don't forget, "Oh Sydney, I love you!" which was a hit in the 1930s but I imagine a lot of folk have! I was going to write a clever reply about how I hadn't ever heard of that song, but actually my parents owned a Slim Dusty album with a version of that song on it. So I had indeed forgotten it,. I have to admit that Khe Sanh's "The last train out of Sydney's almost gone" was the first thing that popped into my head so while it is not neccessarily about Sydney is is defintely one of the most recognised featuring the city.